Including works by Monet, Renoir, Rodin, etc. 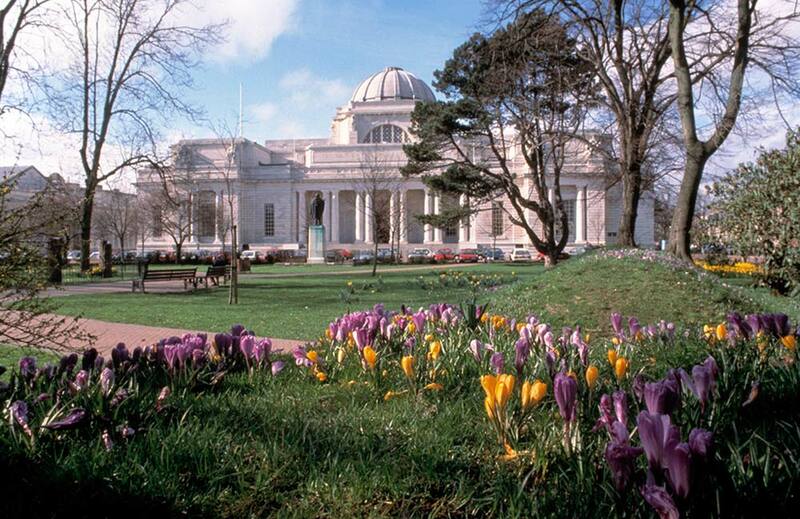 The impressive National Museum Cardiff is conveniently located in the centre of this eponymous city. 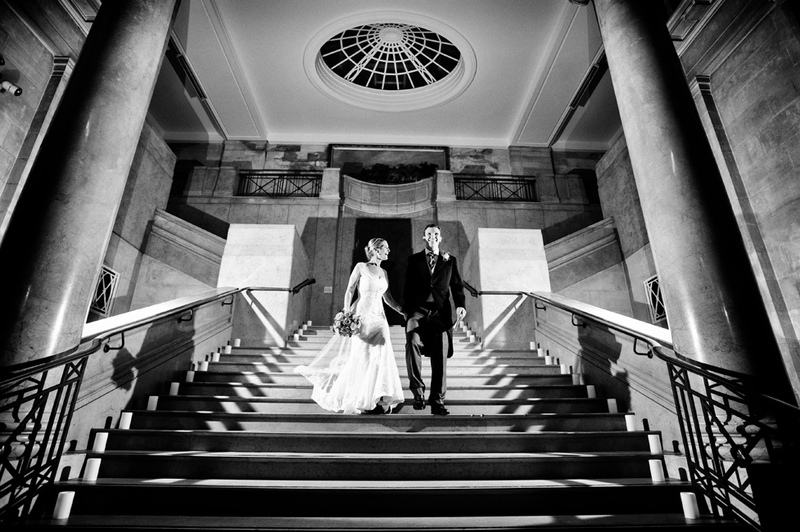 Domed ceilings, oak-panelling and marble staircases are just some of the features of this stunning wedding venue. Not to mention their collection of internationally renowned art featuring pieces from the last 500 years! 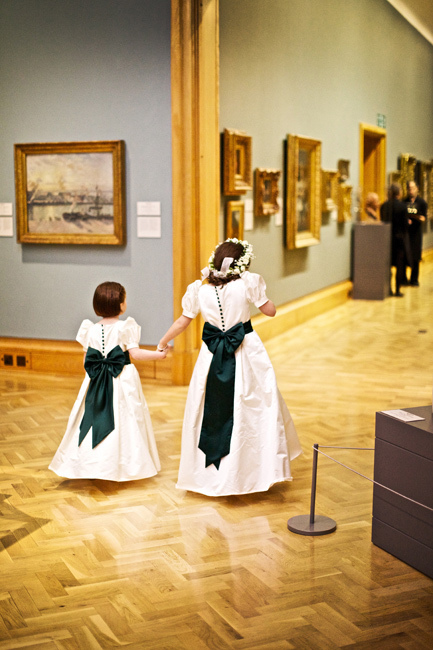 When booking your wedding here you're helping to support the museum as a registered charity. 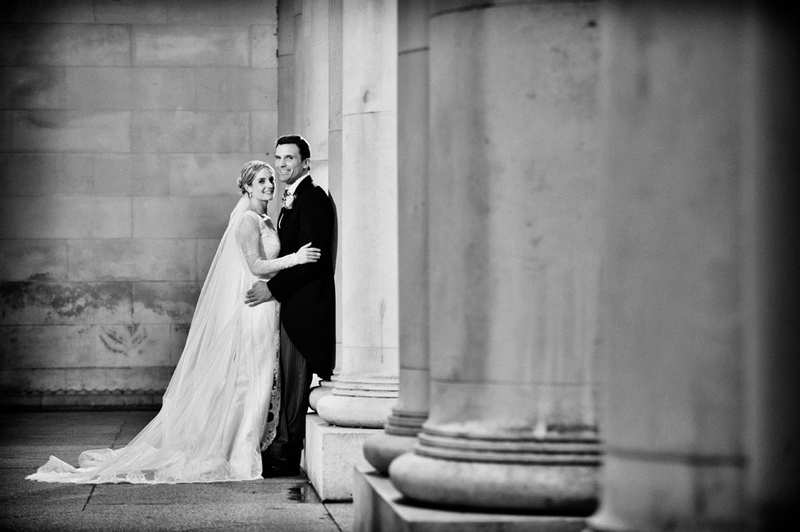 So, if you're passionate about art, this might be the perfect wedding venue for you. 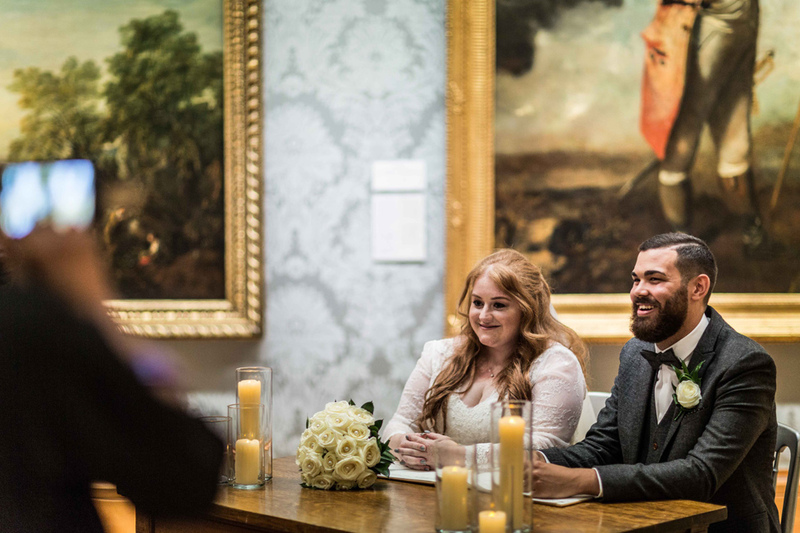 You can hold your ceremony amongst these beautiful paintings and enjoy drinks in front of pieces by such famous Impressionist artists as Monet and Cezanne. 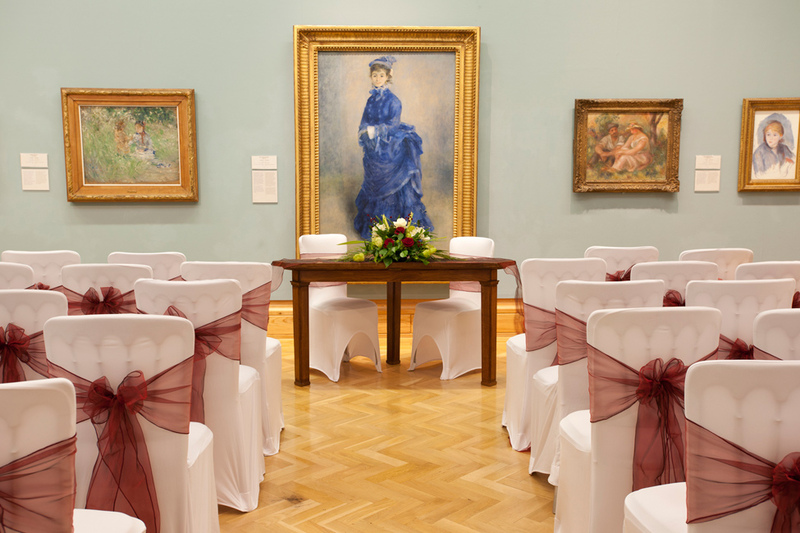 You can get married within the museum's magnificent art galleries which contain works by world-famous artists, including Renoir, Cezanne and Monet. This magnificent space features classic styling, a beautiful balcony, a grand marble staircase and room for a dancefloor and bar area. Available after 5pm. 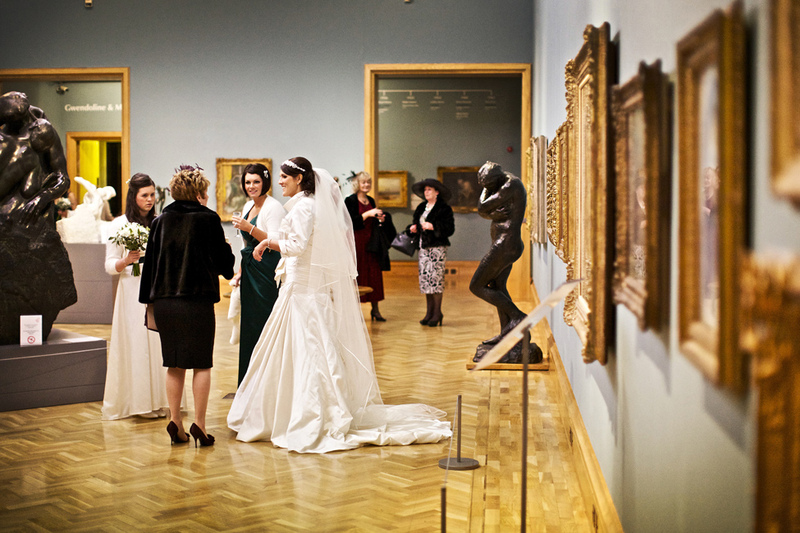 Asian weddings are often held at National Museum Cardiff. The Reardon Smith Theatre and The Grand Hall can be used together for a ceremony and wedding breakfast of up to 320 guests. 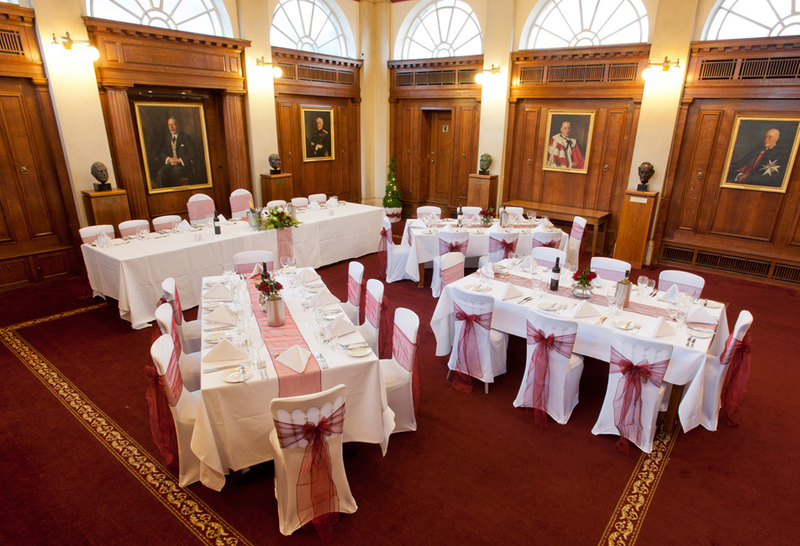 A sophisticated, oak-panelled room that's perfect for more intimate celebrations. 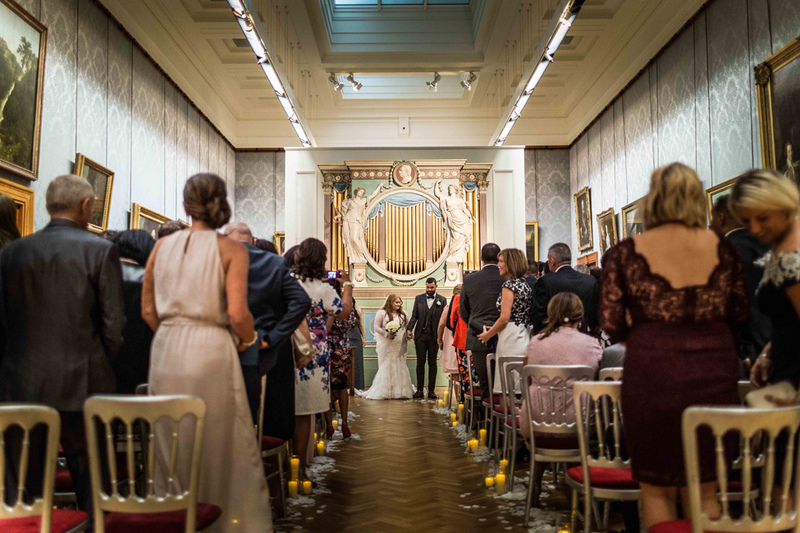 For small daytime weddings, this space is often used for vintage style afternoon tea or a traditional formal wedding breakfast. 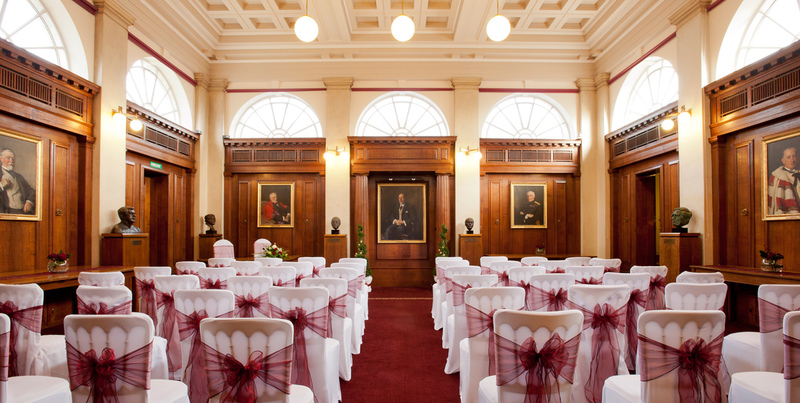 The Court Room can be combined with hire of the Grand Hall for a larger evening party. This impressive theatre was originally built in 1932 and features its own entrance. 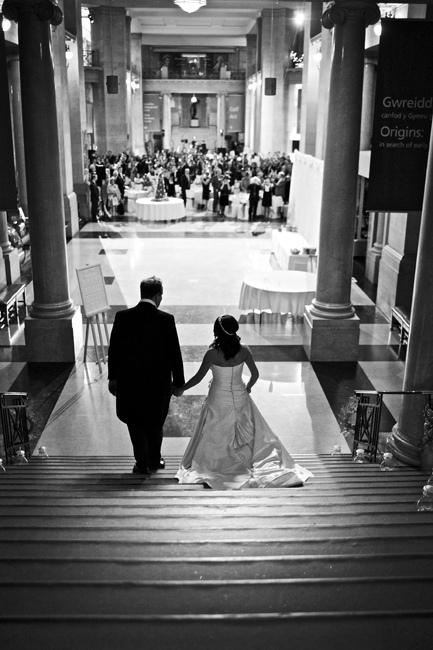 You're free to make use of the high-tech equipment and stage during your wedding! 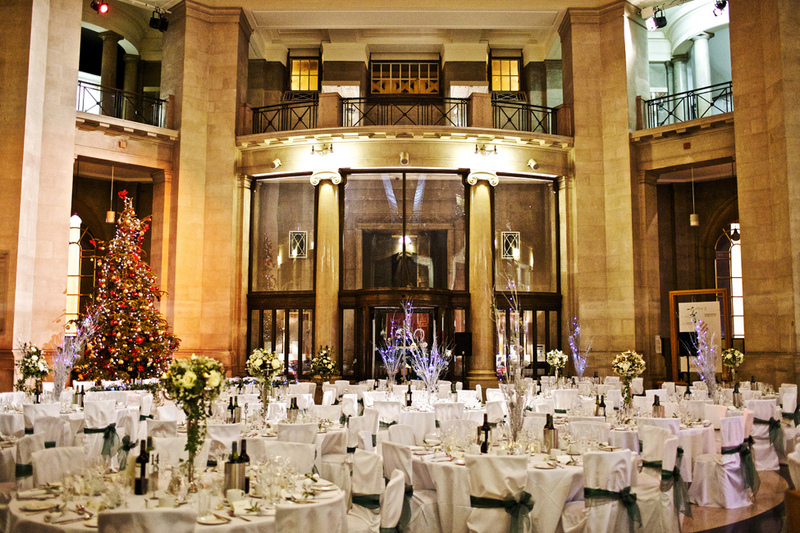 The theatre can be combined with hire of the Art Galleries for a pre-dinner drinks and capes reception followed by your wedding breakfast in the Grand Hall. 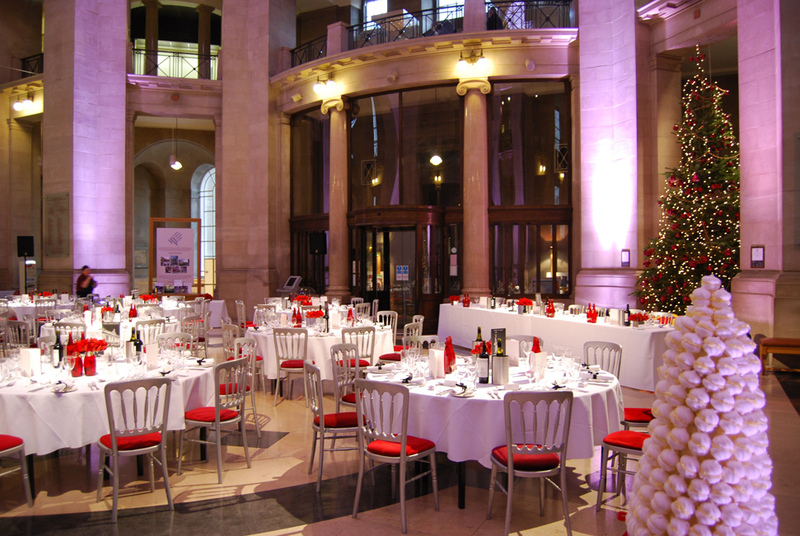 Asian weddings are often held at National Museum Cardiff. The Reardon Smith Theatre and the Grand Hall can be used together for a ceremony and wedding breakfast of up to 320 guests. 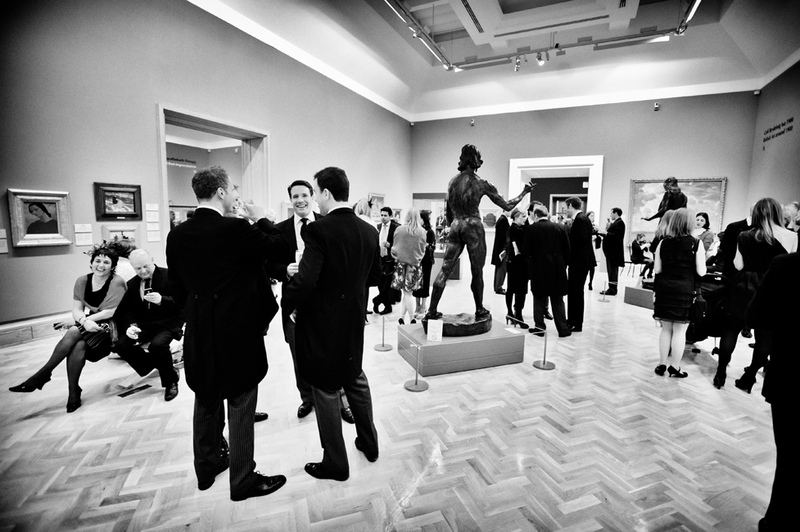 The Museum works alongside a number of specialist Asian catering providers. 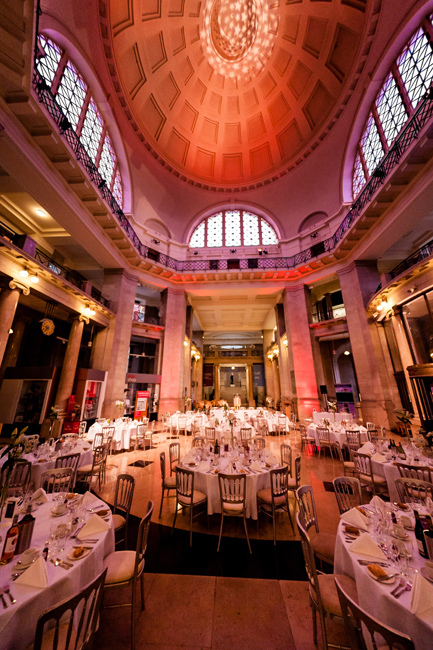 The skilled catering team, Elior, will create a delicious wedding breakfast for you at the National Museum Cardiff. Using fresh ingredients from local sources, the Elior chefs can create a bespoke menu just for you, or can adapt their seasonal menu to your tastes. Exquisite wines and beers will be selected to complement your meal. 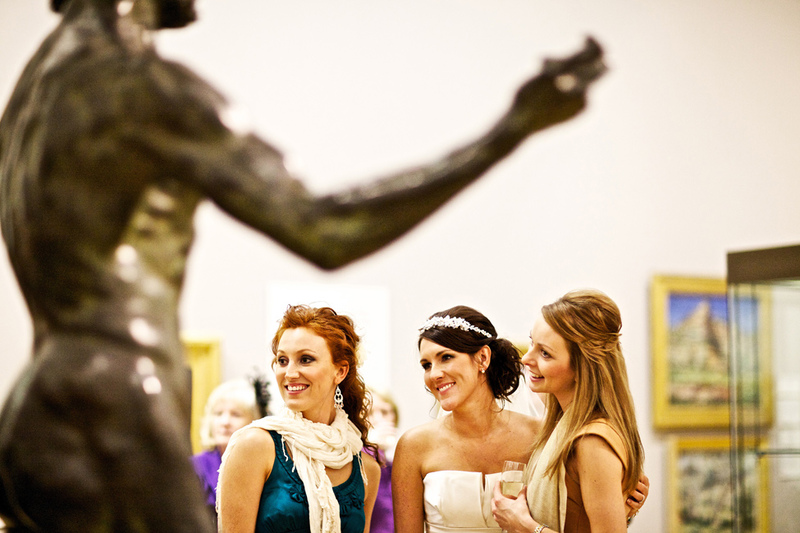 Sample menus available to download from the Museum's website. National Museum Cardiff does not include on-site accommodation however, its location in the heart of the city means that there are many accommodation options nearby. 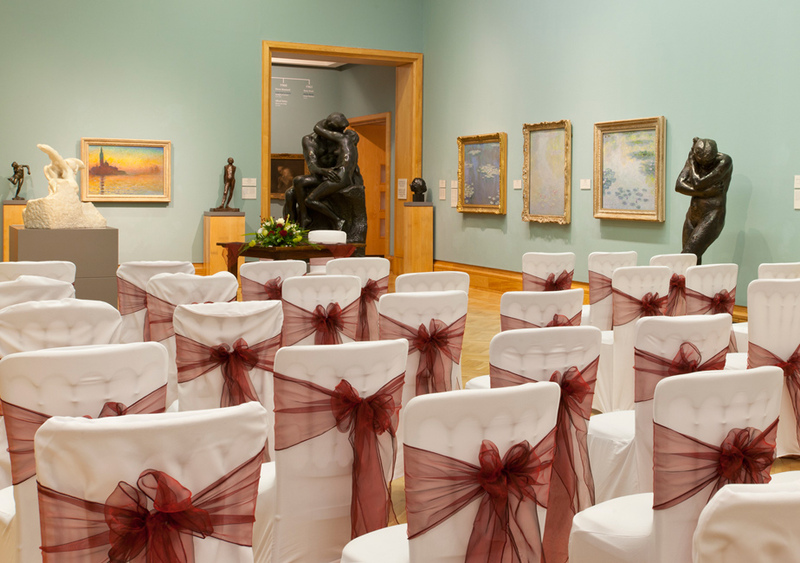 For more information, or to book a venue tour of National Museum Cardiff for your wedding please get in touch using the contact options at the top or bottom of this page. 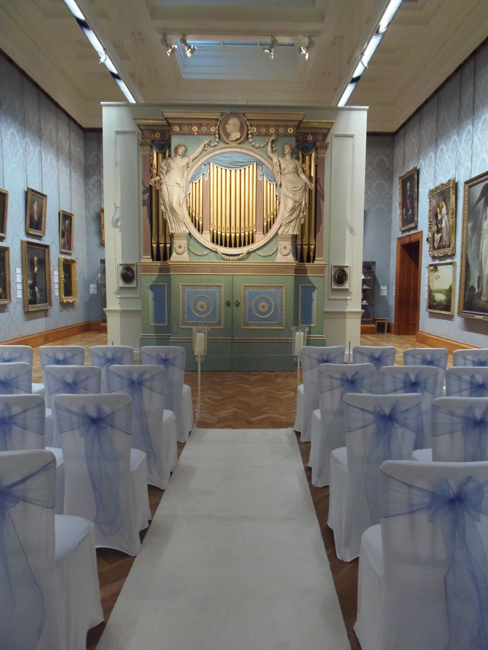 Wedding brochures and pricelists can be downloaded from the Museum's website. 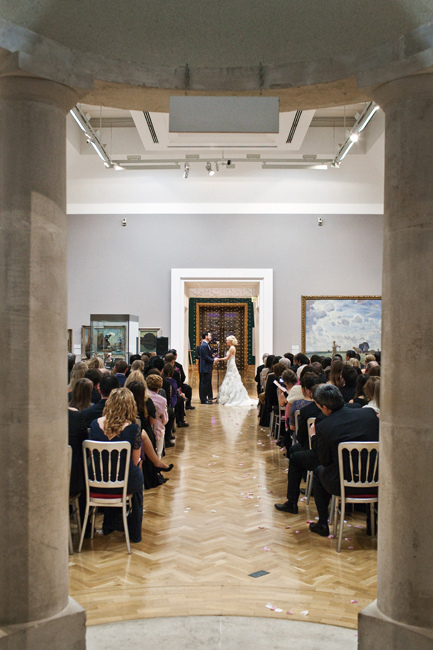 I would like to thank National Museum Cardiff hugely for the fantastic work they did in making our wedding so memorable. It went swimmingly and everyone is still raving about it. It was everything we could have wished for and more. 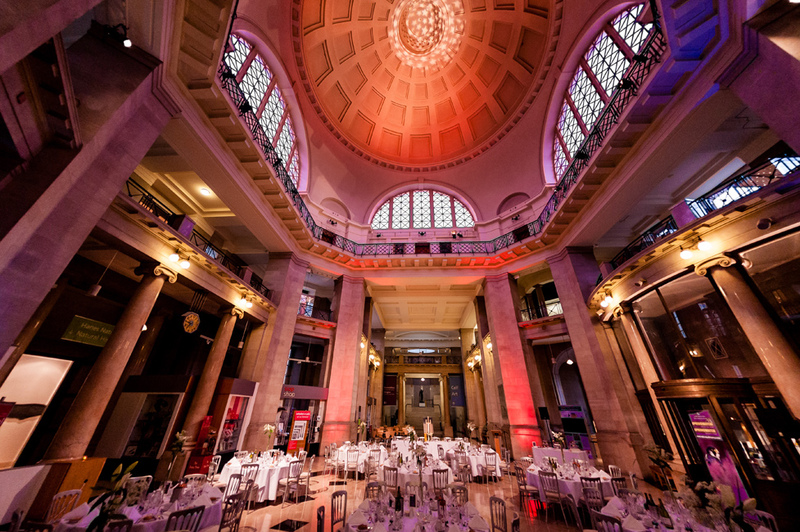 Thanks so much, the whole day at National Museum Cardiff was amazing and we have had so many comments from our guests about the venue. People thought it was amazing and your staff did a fantastic job. We were so happy with everything on the day and I really appreciate the hard work put in for us. Let others know what you think of National Museum Cardiff by giving a star rating and a small review.